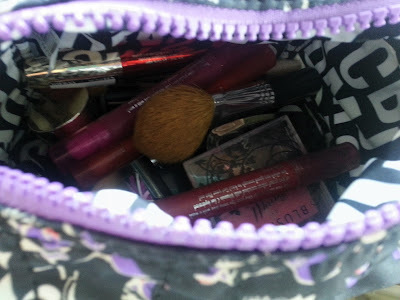 So I wondered if some of the nosier among you might be interested in what's in my makeup bag? I travel backwards and forwards between Portsmouth and Bournemouth all the time to see my boyfriend so have to have a reliable and large makeup stash ready to go! 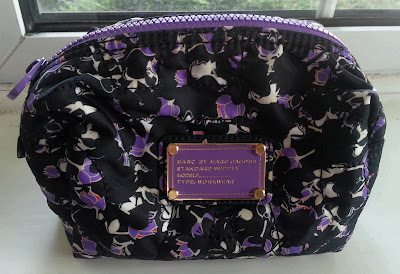 This is my Marc Jacobs makeup bag from Harrods and it's gorgeous! 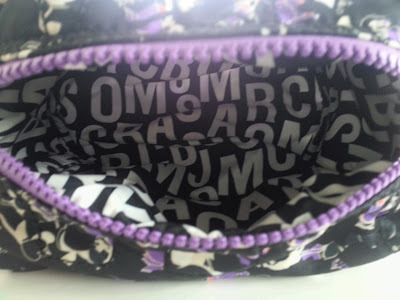 Really roomy, with a chunky zip and embroidered with MARC. 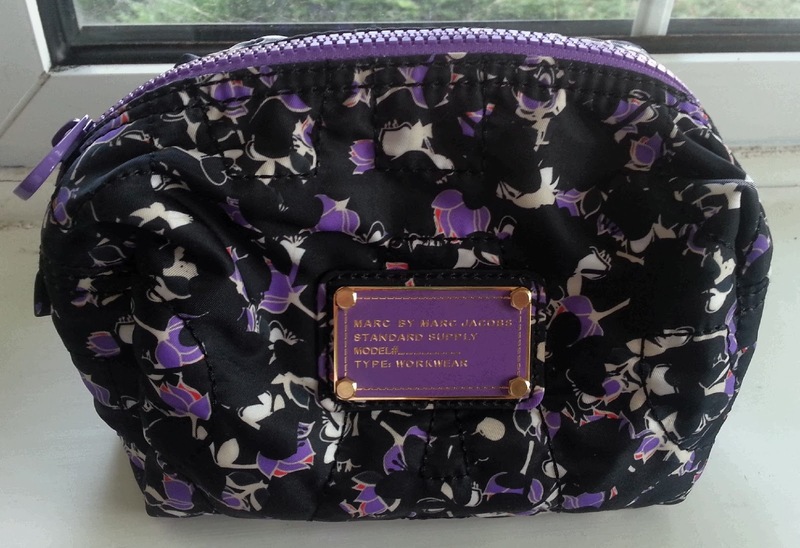 Plus I love the Marc Jacobs printed lining. 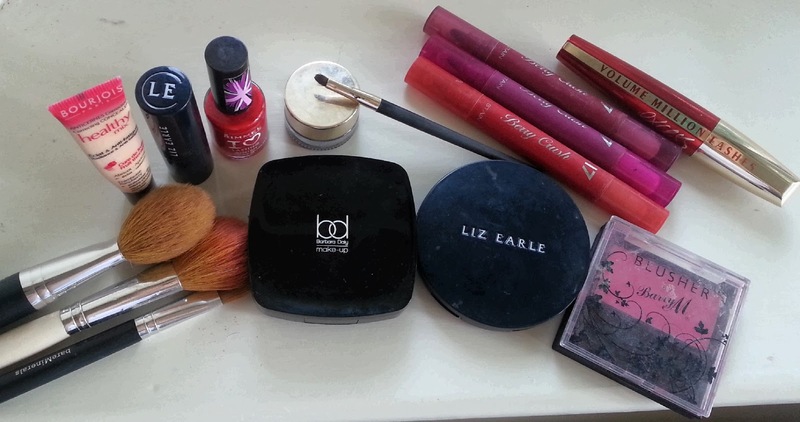 Makes me feel very fancy to own something designer!